My breed was developed gradually over the years by breeding �runts� of spaniel litters. Of course, I prefer not to be thought of as a �runt�, and most people today don�t consider me anything except a wonderful friend and companion. I am a good choice for a housedog, since my small body doesn�t require a lot of space or exercise and my personality is quiet and agreeable. Because I am not boisterous by nature, I am often the chosen pet of older people, but I also love children. When fully grown, I am between 10 and 11 inches tall (25.4 to 27.9 centimeters) and I weigh between 9 and 12 pounds (4 to 5.4 kilograms). We have no English Toy Spaniel Breeders listed at this time. 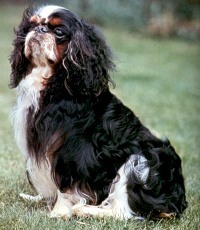 Click here to place your English Toy Spaniel Ad!